Only Infocom rivals the Scott Adams Adventure Series for sheer number of package variations. In Europe, the Scott Adams adventures were sold in small black plastic cassette cases (as few, if any, European computers used diskettes at the time). 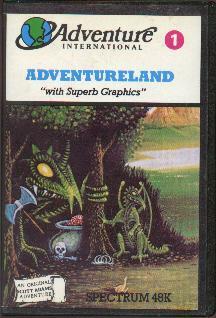 They were distributed through various companies, including AdventureSoft U.K. (aka Adventure International U.K.), Callisto Computers, and Tynesoft.